We had been using a TomTom Go 960 for five or six years and hadn’t really any problems with it until we went to France, where in it decided to become French and in the best Gallic tradition went on strike with no notice (here’s the story). That set us on the path of looking for a new GPS. Being a pilot, I had ‘grown up’ so to speak with Garmin over nearly 20 years and trusted Garmin products to navigate me round the world and drop me on a runway centreline from 1200 nautical miles away… including crossing the Atlantic a few times. But looking for a GPS for caravanning, Garmin didn’t a offer a product that fitted the my idea of what I wanted. As we had been happy with our old TomTom up to the point it went on strike, we looked at the TomTom Go Live Camping & Caravan unit. Specification wise it ticked all the boxes. It allowed us to enter our own POI’s, transfer our POI files from our old TomTom and for some sites ( La Tournerie near Montignac comes to mind) I’d done custom approaches based on specific instructions on how to get there. After looking at various websites for pricing, it seemed like buying direct from TomTom would not cost much more and it would probably easier dealing direct with the manufacturer if we had any problems. There is a quick setup document in the box that I suggest you follow first. It’s a fairly quick download and install. Once set up, one of the first things to do in the device is to enter the tow vehicle and caravan dimensions. I also added the axle weights for the tow car and the MTPLM for the caravan as an axle weight. This ensures the unit will not route you over some of the small weight restricted bridges or roads. I suspect this is more important for large 4 x 4’s towing big twin axle caravans – but the facility is there so why not use it. By entering the weight I think it also cautions you if there are any steep hills on your planned route, but I have not verified this. You can also select the maximum speed of the combination at this point as well. This will make the journey time more accurate. Information on how to do all this starts at page 110 in the downloaded manual. When you have done all that, you can connect your TomTom to your computer. The app will launch and it takes a minute or two to connect to TomTom and your device. It will open a new window in your browser…. and this is where everything is now done. 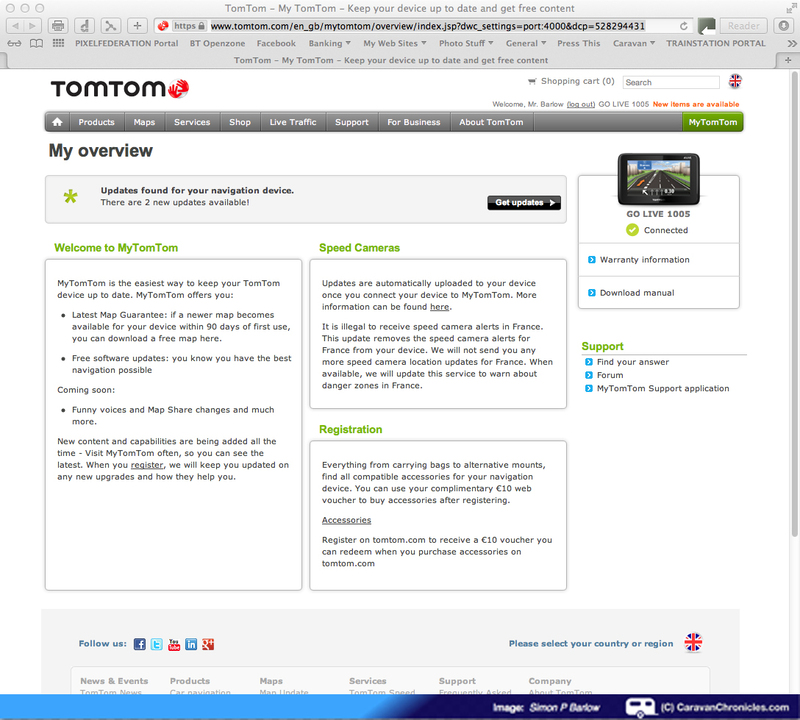 If you havent already got a TomTom account, you will be prompted to create one, which is free. Once that is done and you are logged in, it will download any updates required, you have 90 days to update to the latest map free of charge. 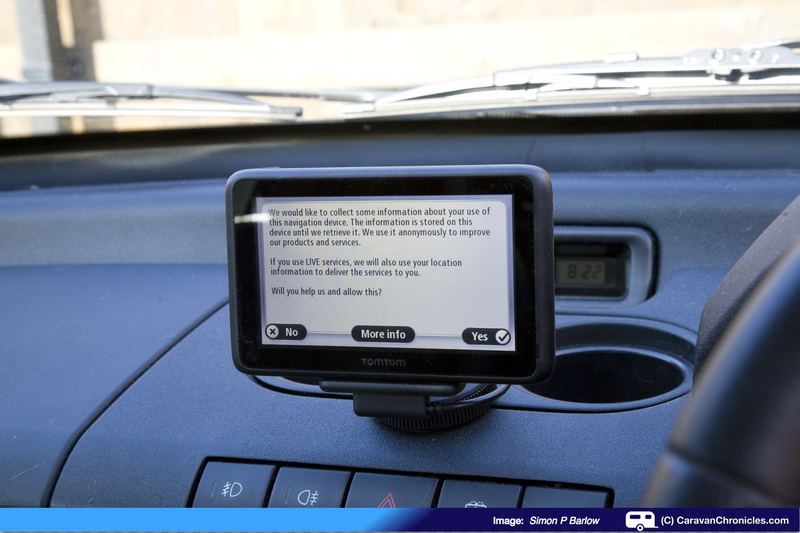 The whole idea behind the Go Live version is the unit has built-in a GSM module which communicates via the mobile phone network to update the unit and to send information back to TomTom. The info that it sends back is about routing and road conditions, so if you are only moving at 20 MPH on the motorway, it sends this back to TomTom and that information is used to update other Go Live devices with road delays. It’s a bit more complex than that… but I think that’s the gist of it. Once you have downloaded and installed “My TomTomSA” it can either run in the background or just started like any other bit of software. On a Mac it sits as an icon in the top bar and if you click on it a small window opens (see below). If there are any updates it lets you know and provides a link for details. When you plug in the device using the supplied USB lead, it opens a new window in the browser (below)…. All the screenshots can be opened full size by clicking on them. NOTE: These screenshots are of Safari on a Mac, IE on a Windows machine might look slightly different. 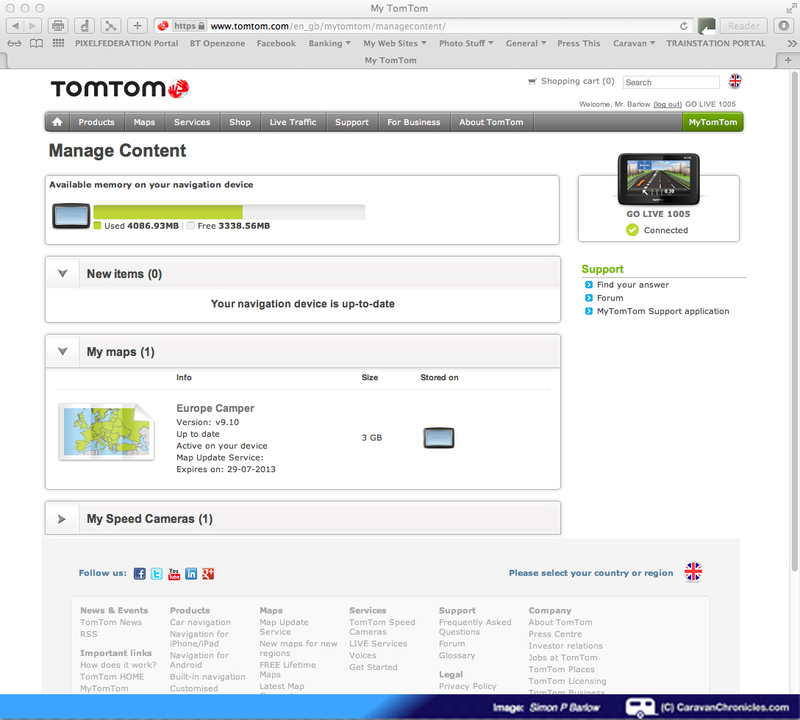 Once you have logged in to your TomTom account, it lists all the updates available in a little more detail and you click on the “Install” button to download each instance of an update. At this point you have to be patient. The download from TomTom and subsequent upload to your device are not particularly quick. If you have to download a 3Gb map update expect the download time counter to initially show two or three hours. This is a bit misleading the clock does reduce quicker than real-time, but in comparing the old TomTom Home download times, I think the new system is similar or even a little slower. However, gone are the multiple downloads for speed cameras for each country, these now come down directly to your device via the GSM link, so when you turn on your device, it initially takes a couple of minutes to download the speed camera updates and the traffic information. This does not slow down the use of your GPS. 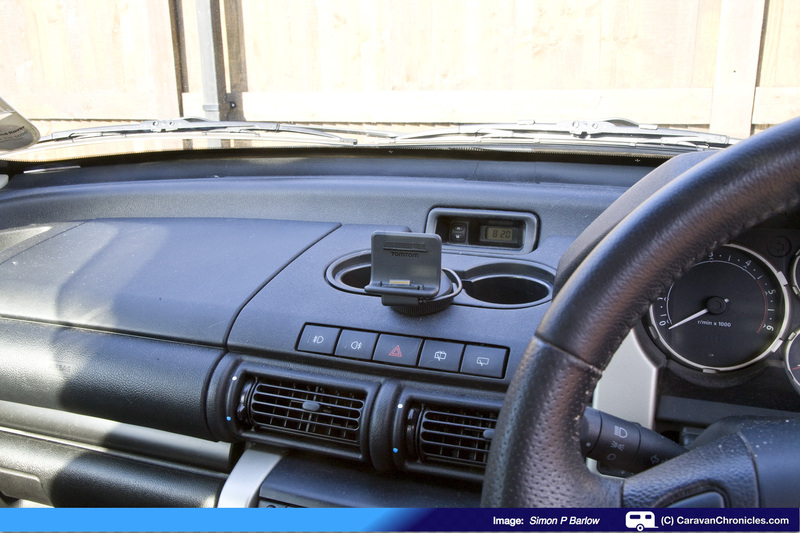 On start-up it is a lot quicker than our old TomTom 960 and can be used within 10 to 15 seconds once you have touched “OK” to acknowledge the information screen about data sent to TomTom. OK, the next screen shot (below) is the actual download process. It shows what files are being downloaded and the file size. IN the example shown, I only had two updates so it took less than two minutes to download and send the updates to the device. While in this screen, you can also check on the dates of your subscriptions to Go Live, and the currency of the map. In the screen shot below, I opened the drop-down section to show the subscription to “My Speed Cameras”, it again tells you your subscription valid to date and at the foot of that box it tells you that speed cameras will be downloaded directly to your device. If you are used to the old TomTom Home software for updating, this new software takes a little getting used to, but it is reasonably intuitive. However, for me there is one big drawback. As all the updates are now done in a browser window, there is no progress bar to show you how the download and update is progressing. Instead all you get is a rotating circle of dots. The reason they have done this is understandable, it’s easy to run a bit of java script in a window to animate the dots, to actually move a progress bar along a box is a little more complex and would probably involve a lot more screen refreshes, which would slow the download process. A couple of times I thought that the software had actually stalled…. the key is a bit of patience and going putting the kettle on… a lot! Once you get the hang of it, the update process is quite simple. One other thing I did notice with this device compared to the old TomTom 960 when updating, is the fact it works in the office. The old unit would rarely get a GPS satellite fix when sat on my desk while being updated. 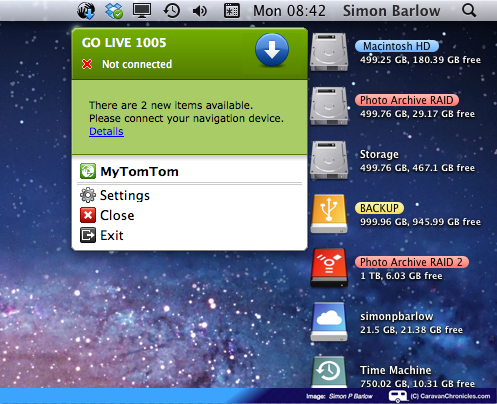 This TomTom however always gets a satellite fix within a few seconds when it is in exactly the same place on the desk. The mounting for this device has moved on in technology terms. The power/data connector is similar to Apple’s “MagSafe” laptop connectors, in the fact that it uses magnets to stay connected. Magnets are also used to hold the device to the stand. Unless you actually see and feel it in action it sounds a bit dodgy using magnets, but the stand is well constructed and its as simple as placing the device on the lower lip of the stand and the power/data connector snaps itself into position as you lean the device back slightly you can feel the magnets pulling it back into the stand. So far I have not had any problems with the device falling out while being bounced about in a 4 x 4. Another feature is when you turn your ignition on, the device turns on as well, so no button to press. When you turn your ignition off, it comes up with a screen “Shutting down in 5 seconds” and counts down unless you touch the cancel button. The actual stand for the device is quite neat and comes with the option of a suction screen fitting, or a round plate that can be stuck to almost any surface to allow the suction cup to work. I opted for this method and routed the power cable down through the dash to a hidden accessory socket under the dash so I can leave the lead permanently plugged in and no trailing wire. In use the screen is bright and clear and the stand can twist and tilt to give the driver the best viewing position. So far in the few weeks we have been using it I have not been in a position where I could not see the screen because of bright sun. The screen renders images sharp and the touch screen is sensitive but not overly so. The area of contact is also quite accurate so hopefully no miss typed addresses. The audio quality is quite good as well. The volume can now be increased to something you can hear clearly while doing 60 MPH on the motorway with the window open. If you use the standard computer generated voice rather than the recorded voices the pronunciation for some place names has improved remarkably, although not perfect by any means. It has all the usual features as many other devices on the market…. bluetooth linking to your phone for hands-free calling, the ability to store pictures and play music – features I have not explored. The first few time we used it, we had it set as though we were towing a caravan although we were solo. It did route us successfully round all the locally known places where you couldn’t get with a caravan and I tried a route from home to our friends that live on the North Yorks Moors. Normally our old sat nav would route us via Sutton Bank, this time we got a route around Sutton Bank. The live traffic updates are quite accurate. As well as direct warnings for delays on your route, you can also see delays on roads around you. These take the form of hi-lighting the road with a ribbon in various colours depending on the type of delay with what looks like tiny marching dots. Now what is clever is if you look closely the ribbon will be to one side or the other of the road and the dots seem to move in the direction of the traffic. On the A66 we had some road works that were controlled by temporary traffic lights, on the screen it showed delays on the opposite direction to us. We got to the traffic lights and there were maybe five or six vehicles on our side, but in the other direction there must have been 100 to 150 vehicles in the queue. This is where the advantage of the “Go Live” bit comes in… other Go Live units feed back traffic flow information by virtue of where they are and how fast they are moving, this is processed and sent back as traffic delays to other users, so TomTom are not just taking traffic flow info from national traffic information services they are adding detail to it as well. With our old GPS, sat on my drive I could go to one my POI files and it would bring up a list of all the POI’s in the file, so for example sat on the drive I could open my POI’s and scroll down the list and select Dover Docks that I had programmed in. With this device I can still go to my POI’s and open up my list, but it will only show my POI’s within a 50 mile radius of where I am. If I want to select my Dover Docks POI, I have to enter the town “DOVER” and it will show me all my POI’s within a 50 mile radius of Dover. I’m not sure if this can be changed so it shows my POI’s within say a 100 mile or 200 mile radius… something I have to investigate. Other than that, I haven’t found anything else really to complain about so far. Thanks for this review. My TomTom 730 is no longer recognised by my computer so can’t update etc. TomTom help say new device is required as the internal hard drive will be failing. It’s very old so not unexpected! They are offering me a 20% discount on the £329.99 current rate which is fantastic. I was concerned about a few issues such as being able to create Itineries using Tyre but I’m told this is still possible although the device does not show up in Windows Expolorer as the old 730 did. This means I can’t simply drag and drop the Itineries into the appropriate place but must use the software to install them. I was also concerned that I could no longer create Favourites or POIs as coordinates but it seems this is still possible. The only thing I must now do is check my phone is compatible then I’ll buy. Again – thanks for a useful review. Glad you found the review useful. 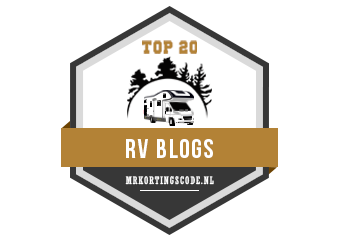 I had hesitations at first with the Go Live Camper & Caravan sat nav after first investigating the Snooper and finding out its limitations, I could not find a definitive answer to my questions at the time about the TomTom product. SO I took the plunge and found that I could do everything I wanted to and had done on my previous TomTom. Thats one of the reasons I did my little review to cover bits that other reviews didn’t! It sounds like you got a good deal too! Nice One. My iPhone 5 and Sue’s iPhone 4 work OK if that is any help. I’m in the process of writing an article about creating POI’s and custom routes using Google Maps – so you can look at the approved ‘approach’ recommended by one of the clubs and simply click on each of the road junctions in Google Maps and automatically create the same route to the site. When you upload the POI for the site to the TomTom it automatically adds the club’s approved approach. I’m using http://www.poieditor.com/ which is actually quite easy to use… eventually! Excellent review, in depth and very helpful. Good work! What a breath of fresh air; an honest review which is useful to the likes of me considering such a purchase. Thank you sincerely. I recently traded my TomTom GoLive 750 for a Snooper Ventura Caravan Club Edition and it was returned within 2 weeks. It was slow, inaccurate and not worthy of the premium price tag. Even the TMC aerial was an extra to be plugged in a trailed across the dash. As a result of your review, I have just placed an order through Amazon, and got it for £304 which I don’t think is too bad. So glad you found the review useful. Thanks for the feedback. 2 Is the Free lifetime map service included or are maps, like Cameras, an additional paid for service? 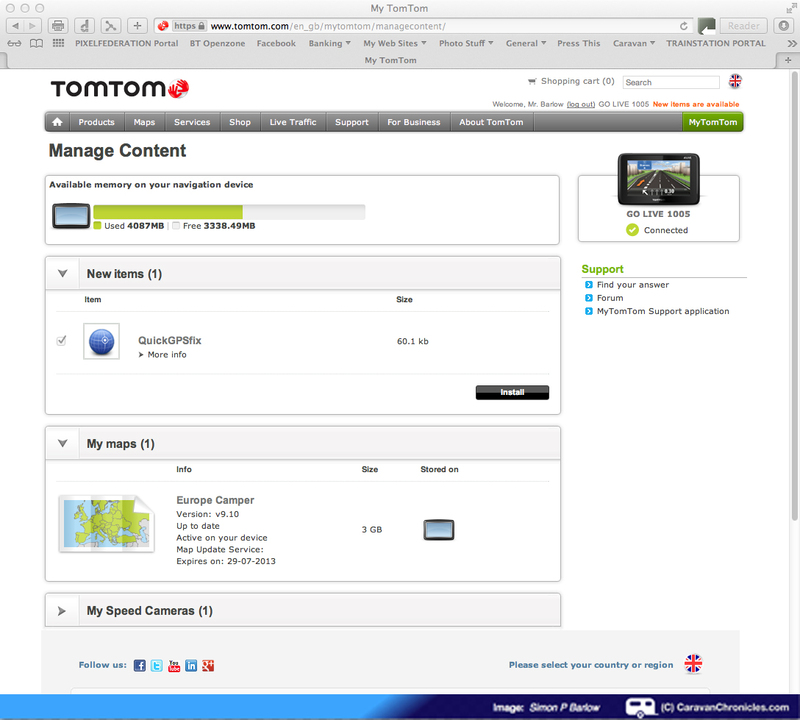 Any info on these two items appreciated as TomTom website is less than clear on this. 1. Yes it does allow you to avoid toll roads. 2. The free lifetime map service does not apply to the Camper & Caravan edition (as far as I know). The “Go-Live” service is a yearly subscription (first year free) and includes all maps and speed camera updates etc. One thing to note is the map has far more info in it as it includes weight restrictions, height restrictions, width restrictions and a host of other details that are not on the normal TomTom Europe maps (I think it’s the Commercial Vehicle version). Without this info, the unit could not plan routes specifically for caravans and motorhomes avoiding these restrictions. PS… One of the best features of the ‘Go-Live” service is the live traffic information. It is very accurate and it obtains data not only from national services, but other ‘Go-Live’ users. So if another user a few miles ahead of you encounters slow moving traffic, that information is sent to TomTom and relayed back to other Go-Live users. The more users out there, the more accurate it becomes. Many thanks. Info a great help. I have spoken to Tomtom who tell me the product bought from them comes with lifetime map updates. Halfords advertise this model as including lifetime map updates as does one supplier via Amazon. Curry’s advise me no lifetime updates with their version and several Amazon suppliers also exclude the updates. It seems that there is more than one version on the market and this was the inference from Tomtom themselves. Obviously caution needed when doing price comparisons. Well that’s a bit of useful info! Thanks. I assume that the lifetime maps update is for four maps per year but doesn’t include the “Go-Live” traffic updates and all the speed (safety) cameras and campgrounds/motorhome POI updates as well? Just done a bit of checking…. I can find the Europe Map on a lifetime update, but not the Europe Camper Map. This was what I understood when I originally bought our “TomTom Go-Live Camper and Caravan” when I wrote the review. It did come with a free 12 months subscription to the ‘Go-Live’ service and all updates for speed cameras etc. It may be worth double checking you have the ‘Europe Camper’ map on lifetime updates. My Garmin 2595 recently routed me in my camping-car over a dangerous mountain road, e.g. it had no guard rail and was less than two car widths wide. Does TomTom either warn you or have the option of avoiding dangerous mountain roads? 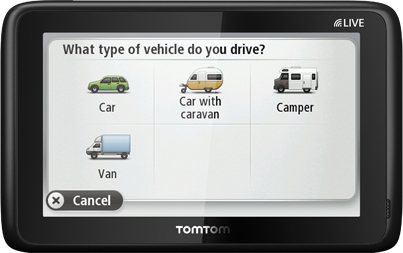 The TomTom will only route you on suitable roads for the size of motorhome or caravan set in the vehicle preferences. If you add the axle weights, it will also avoid any weight restricted roads or bridges. I purchased a TomTom GoLive Camper version on recommendation by the Caravan Club in late 2102 at a cost of £400 from their recommended supplier. It was ok until just over a year later when it strarted freezing. The tom tom site says to reset if this happens which I did. It worked ok again for a while and then started freezing again. I continued resetting whenever this happened but it got to the stage where the device was basically useless. I contaced customer services and was told to reinstall the software from their website. This was accomplshed successfully and again it was ok for a while. Then it became useless again freezing at very unhelpful moments. Again I contaced customer services and was told the memory was corrupted – how? No response to how it may have been. I was then told to send it back and it woud be ‘repaired’ at a cost of £105. This for a relatively new device costing £400 which had been going wrong for some considerable time. I put this to customer services but have had no reply. I will not be purchasing a TomTom again and certailny will not be recommending them to anyone. Sorry to hear you have had problems. I know there were some issues with the upload software for a while which caused the unit to lock up while updating, I had quite a few problems with it, but since the release of a later version of the software I haven’t had any further issues. I know from some GPS forums that TomTom customer service can be slow to respond so it would be worth trying again. As with any product or service you buy, the first place to contact should be the retailer that sold the unit as under the sale of goods act, it is with the retailer that you have a ‘contract’ with when they sold the product or service to you. Have a look at “Which?” magazine’s web site for very useful info about returning goods that are faulty. I was unaware that The Caravan Club promoted the TomTom unit, I thought they preferred to promote the Snooper unit as it carried their club site database. Hope you get a satisfactory resolution. It was promoted by the Caravan Club in their club magazine for only one or two issues. After that only the Snooper appeared – I wonder why! Also, interestingly, the Snooper is not Mac compatible – that’s crazy in this day and age! When I started to write my SAT NAV review, I asked if I could borrow one to compare the two and was refused point blank. They wouldn’t even answer my questions. I did find out that as you say it is not MAC compatible and it did have other limitations – it cannot pick up weight restricted data from the map database to stop big motorhomes going down weight restricted roads amongst other things. I have also had feedback that it has sent long units down roads that have turns that are too tight – especially in Spain & Portugal. I have not had anyone reporting routing issues with the TomTom… mainly updating problems which now seem to have diminished as I’ve not had one for quite a few months. Having used GPS units for over 20 years for flight navigation I ‘grew up’ with Garmin units which for aviation set the standard. The TomTom comes very close in functionality and performance. I would definitely pursue the retailer for a suitable resolution with your issue. I bought a GoLive Caravan&Camper in August 2013. This year it directed me twice in a road with low bridge, too low for my Camping Car wich height I had duly notified to the device. Sometimes it suggested a path very intricated, crossing several times the same way, practically a series of knots….! Th Camping Car rest areas, road works and traffic problems are treated quite well. I hate the clip that remains when you de-attached your sat nav. Surely its just a massive advertisement to any local thief’s in the area that there is a sat nav in the car. Thanks for such a detailed impartial review. I am considering the Tom Tom satnav but am tempted by the latest Snooper Ventura Pro 8500 with built in DAB TV etc. this seems to have good reviews online? 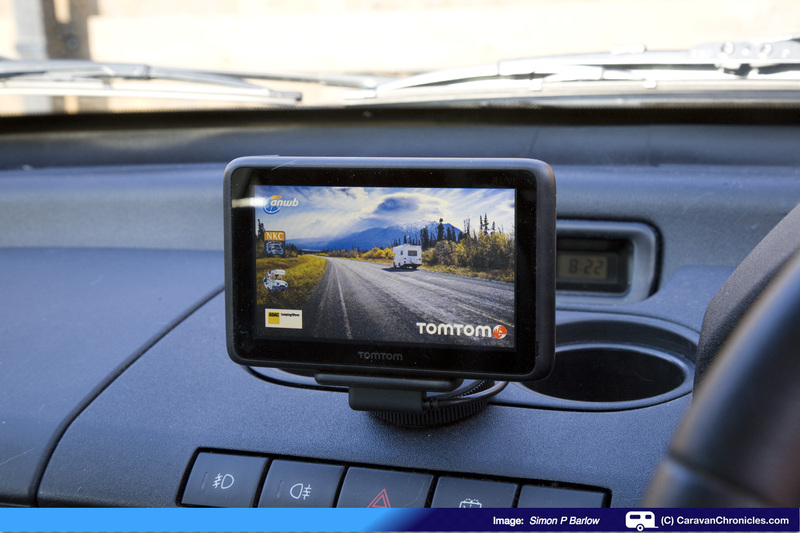 In light of your second review on the Tom Tom would you consider the Snooper to replace your Tom Tom? The latest Snooper does look a great product, however the limitations of not having any software for Mac’s only PC’s and the fact you cannot load your own POI’s would still mean I would go for the TomTom device. TomTom in the last 12 months have made great efforts to address some of the issues and their MyDrive has changed completely and update issues have been resolved. As you can now get the TomTom with lifetime map updates, the total cost of ownership has also dropped dramatically. The Snooper does have a lot going for it but the lack of being able to upload your own POI’s from file and not being Mac compatible is a huge limitation. We have a new Snooper Ventura – thinking it must be worth the price as it’s Caravan Club approved – but it took us miles out of our way through mountain roads and single track villages to avoid Narbonne in France, where the main road is straight, wide and with no hazards. It also tried to put us on to cart tracks, instructed us to take the next turning on the right which was the entry lane to the road we were on, and omitted to tell us take the next right exit to go south in Orleans rather than back to Paris – I could go on. Snooper is going back, but the larger size was a bonus. Any upgrade on the size of the TomTom would appeal to us. We have an ordinary museum-piece TomTom, which has seen us through France before, but it is ailing. I wish we could find something that doesn’t cost as much as the Snooper and the TomTom, but which does what it is meant to do. 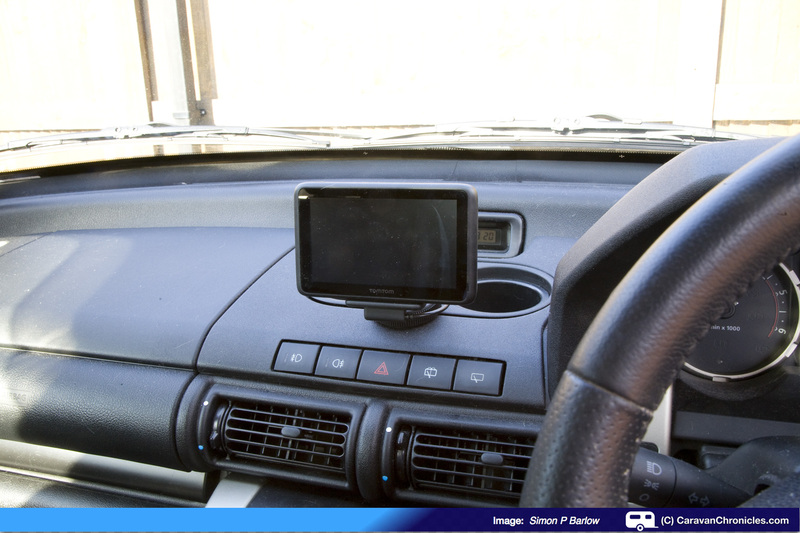 The other option to consider is an iPad or tablet running the Tom Tom sat nav software. This would give you a larger screen. A tablet can be bought for around £120 plus the cost of the software and car charger. I’ve just had a conversation with TomTom and asked if I could put the caravan map on my Go Live 820. It seems that you can (on certain devices) and mine is compatible. Check your device is compatible with the list at the bottom of that page. Thanks for this review. I have tomtom go a few years old and have had nothing but problems. It falls off the stand regularly. It cannot pick up satellite at my house in London suburb. It takes me down tiny roads as kind of short cuts between same A road, so decided to start afresh now I have a camper..
Have been looking at the Aguri, Snooper and Tomtom (to give them a chance that I got a rogue one) the Aguri is advertised in Camping and Caravanning club and I have spoken to them and it sounds good. I am now deciding between these three. Comments on here about Snooper are veering me towards the other two. We have the Tom Tom go live camper which we are happy with. Not happy that we have to pay for map updates every year after such a large outlay to begin with so are now looking at replacing with Tom Tom to the free map updates. We looked at the Aguri as friends of ours had it and liked the idea it had a camera on it but our friends couldn’t get it to work. They rang Aguri while in Spain and had a replacement sent out but that too is not working. We thought we would do a little research while we were on our European trip last month and asked all those we got chatting to what nav they used. There was a mix of Garmin, snooper, Tom Tom and Aguri. Problem was though 3 more Aguri users were having problems with there’s and one had also had a replacement sent out but was still experiencing problems. We borrowed our friends Aguri to see if we could get it to work but couldn’t. We found it flimsy and not as good quality also sound turned up was not loud enough.